With the Phaseout of ISDN Systems imminent, the technology that we are using to communicate is changing. Voice over Internet Protocol (VoIP) is the future of business telephony. ITCS’s dedicated account managers have been working hard to speak to both new and existing customers about future-proofing their phone systems and answering any questions they may have about VoIP (voice over internet protocol). A common hesitation with business owners, is that after years of doing things the same way, your team may be hesitant to embrace a switch a new VoIP communications system. Both you and your staff may have concerns about the new technology, and what the change will mean for you all on a daily basis. We have put together a few of the most commonly asked questions about VoIP systems, and have answered them as clearly as possible to reassure you and your staff that the transition is well worth it. 1. 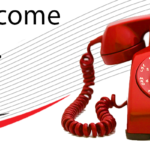 What is the difference between VoIP and a traditional phone line? The biggest difference between VoIP and traditional calling is the phone lines that are used. Traditional lines use an analog signal, and VoIP uses a digital signal. Do you remember the big Digital TV Switchover in 2012? The ISDN Phaseout is a similar concept; these legacy systems are out of date, as are the associated maintenance and running costs. A digital signal is more efficient than analogue, and costs less money. Anyone who has used a program like Skype has used VoIP to communicate. 2. But my phone system works just fine, why do I need to change it? VoIP technology can provide businesses with the best platform for continued future development, on a modern and flexible infrastructure. VoIP brings with it a multitude of benefits such as more mobility, cost savings, and better call quality. 3. What sort of features do VoIP systems bring to the business? The range of features available on a VoIP phone are one of the main reasons that businesses upgrade to the system. VoIP systems include dynamic call handling, pre-recorded messages and seamless transfers at the touch of a button. The systems completely erase the barrier between phone systems and internet browsers. Engage in video calls with any compatible device, incorporate other communication services like instant messaging, teleconferencing, receive voicemail and faxes via email, and much more. 4. Do I have to know and be re-trained in complicated software just to make a phone call? Although feature rich and completely modern, VoIP telephones function much the same way as an old fashioned handset. You can configure the phone with the same key presses to pick up, and transfer calls. ITCS will provide you and your team with full support so that you’re confident with your new system. We provide training, number porting, provisioning and assistance. This will give you complete peace of mind. 5. What equipment is required to use VoIP? Besides the cost savings, setting up and maintaining a VoIP system is a much simpler job than with traditional telephone systems. This is because there is so little on site equipment compared to traditional ISDN networks. Only pay for the users you need. 6. Is VoIP an expensive investment? The expense of VoIP systems is a very common myth. In fact, with VoIP you’ll save money. Enjoy lower international calling rates, free calling features, as well as lower monthly service costs. The feature-rich element of VoIP systems means that you can get rid of single use devices and enjoy voice, video, fax, voicemail and more in one device. 7. I’ve heard that VoIP sound quality is really unreliable. Is that true? A persistent myth surrounding VoIP is that because it relies on internet connections, the voice quality will suffer. This myth has really stuck around from the very early days of VoIP, when networks were slower and less sophisticated. Broadband has come on a long way, but as with many things in business and in life, you get what you pay for. In other words, the better your business broadband connection, the higher quality your VoIP telephone system is going to be. Current internet and 4G connections represent a huge leap in technological progress, but for anyone considering VoIP, it’s a case of ensuring you have the bandwidth to support your network. We all know that hacking and cybercrime is regularly making headlines in modern business. But, as long as your internal network is secure, then your phone network will be too. 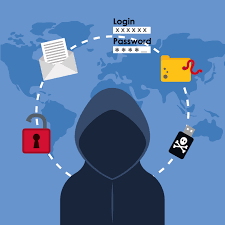 As long as you have a good Disaster Recovery System in place and you are using a trusted IT Support Provider, the risk of falling victim to hacking or cyber-crime is minimal. ITCS ensure that security is a priority when we look at your system in readiness for VoIP. 9. I don’t run a large business – is VoIP right for me? You don’t have to be a large corporation to benefit from VoIP. It is a truly versatile communications solution. SMEs and startups can benefit because it’s so easy to set-up and use, and you can add new phones as your business grows. Plus you can benefit from various business features that come with the system, adding to the professionalism of your company. 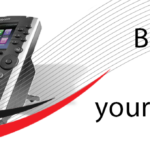 Are you ready to discover more about upgrading your business phone system to a VoIP solution? Do you have more questions? The ITCS team are always happy to help. Call us today on 08456 444 200, or email: info@itcs.co.uk. You can also fill out a contact form. 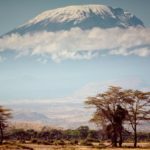 Standing at 5,895 metres high – Kilimanjaro remains one of the world’s great challenges. Brian Stokes will be taking on the gruelling charity trek this April in aid of LATCH. On April 5th 2019 he will push himself to the extreme, with a core team of 11 people, to raise money for LATCH Welsh Children’s Cancer Charity. LATCH is currently supporting an amazingly brave little girl from Maesteg, Amira Barry. Amira was diagnosed with Leukaemia last year, and is currently receiving support from LATCH. The fantastic help and support provided by LATCH has driven Brian and ITCS to raise money to help the charity continue its excellent work. 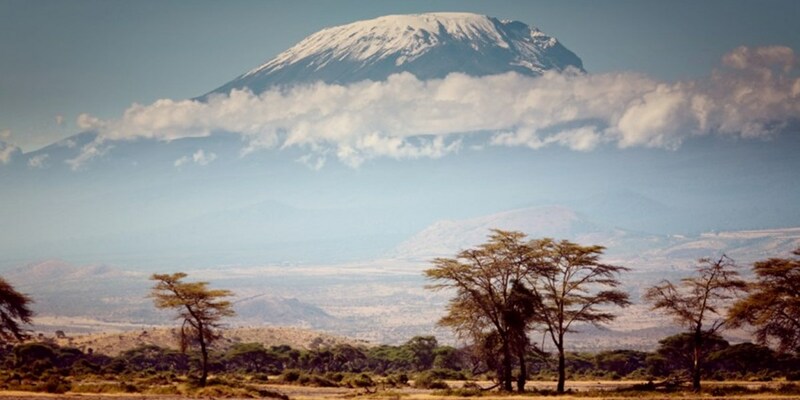 The Kilimanjaro trek is set to take 7 days, where on average 44% of people fail, mainly due to altitude sickness. This is no mean feat, and a real challenge. The trip has been entirely self-funded by each individual, so donations are well received and go entirely towards the charity, not paying for any part of the expedition. The training has been well underway for many months, along with numerous trips to the doctors for a huge list of jabs. The malaria tablets and altitude pills are all ready to go – now they need as much support and encouragement as possible. You can donate to Brian’s cause by visiting his JustGiving page – every donation, no matter how large or small, is gratefully received. 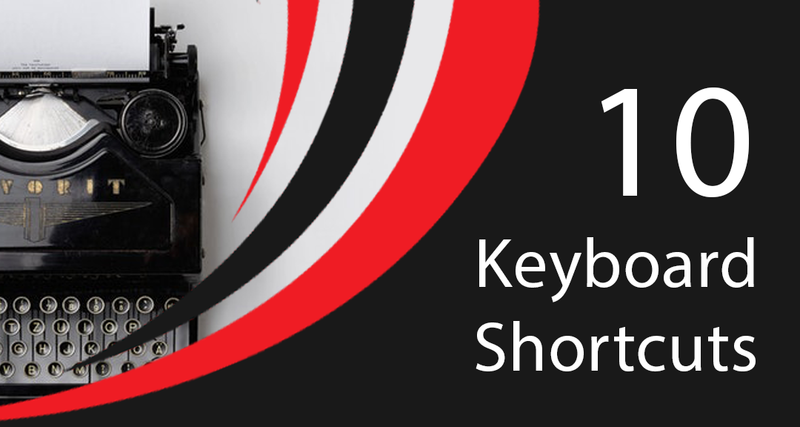 Although it’s unlikely you’ll be able to memorise every single keyboard shortcut, they really can make you much faster whilst you work on a PC. Learning and using the ones that are most important to you is a great way to enhance your Windows 10 experience. Compared to reaching for the mouse or navigating a menu, a single keyboard shortcut shaves a moment off your task. This might not seem like much, but add up all those saved moments over a week or a month, and you’re gaining a substantial chunk of time. That’s why it’s important to know as many shortcuts as possible for your operating system. Try a keyboard command a few times, and you’ll find out just how useful it can be. You could even bookmark this page, and use it as a Go-To Tool whilst you learn! From high profile data breaches of companies like Facebook and British Airways, to mounting evidence surrounding Russian interference in the 2016 US election, it is safe to say that 2018 was a landmark year in terms of security vulnerabilities and emboldened cyber-criminals. So, with 2019 set to bring more technology advancements, what can you do to protect yourself, and what should your priorities be as a business? The Information Security Forum – also known as the ISF – is a trustworthy source that senior security professionals and board members turn to for guidance on information security and risk management. They have identified 4 key security threats that businesses will be faced with this year – as well as tips for risk management. You can read the full report here. I n 2017, high-profile incidents, such as the WannaCry ransomware attack, made file-encrypting malware internet enemy number one. 2018 actually saw a decrease in the number of Ransomware attacks, as many businesses invested in backup solutions that eased the impact of a ransomware attack – or even investing in high quality Endpoint Detection and Response (EDR) systems – which basically eliminate the risk altogether. However, there are still many high-profile ransomware attacks happening, which is why this threat remains at the top of our list as a threat to business in 2019. 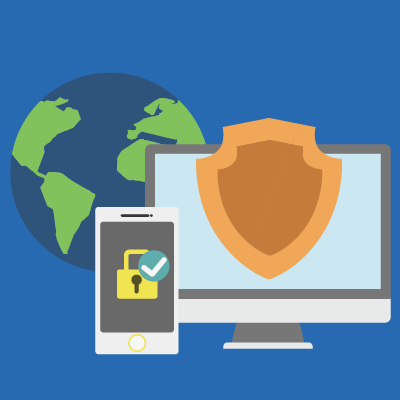 John Zorabedian, author of Sophos NakedSecurity Blog – suggests that preventing ransomware attacks can be as simple as getting the basics of cyber security right. Back up your files regularly, train and retrain employees in your business (we can help with that if you need). Use a password manager and never reuse passwords. Keep up to date with operating system patches and app or software updates. Change the default administrator passwords on things like home routers, modems, and network-attached storage servers. 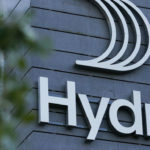 Both regional and national legislators are struggling to keep pace with the fast-paced developments in Cyber-security. 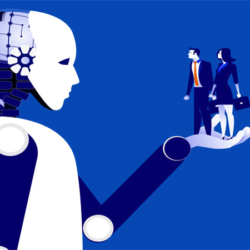 They are set to fall even further behind in 2019, with most current legislation in place being years behind the technological curve. At the same time, as businesses cry out for more regulation, sweeping changes get made with tight deadlines that don’t allow adequate time for organisations to attain compliance. The ISF identifies how national regulations will also provide a hindrance: “legislation by its nature is government and regulator driven, resulting in a move towards national regulation at a time when cross border collaboration is needed. Organisations will struggle to keep abreast of such developments which may also impact business models which many have taken for granted”. Unfortunately, this one is mostly down to government and regulation. Without doubt, there remains much to be done and it requires the collaboration between governments, private initiatives, the academic sector, and of course, users. As the world enters a new era of technology, businesses are implementing smart devices enthusiastically in an effort to impact their business. This is a huge positive; however, many users won’t realise that these devices are often insecure by design, and therefore offer many opportunities for attackers. These types of attacks are on the rise; in 2018, SophosLabs saw significant growth in the volume of attacks targeting IoT devices. One of the reasons for this is that it’s challenging to detect a device is affected until something goes horribly wrong. There will also be an increasing lack of transparency – vague terms and conditions will allow organisations to use personal data in ways customers did not intend. This will prove problematic for business, as it’ll become less clear to pinpoint what information is leaving their networks or what is being secretly captured and transmitted by devices such as smartphones or conference phones. To add insult to injury, when breaches occur, organisations will be held liable by regulators and customers for inadequate data protection. Again, the main advice for preventing these types of attacks is to focus on mastering the basics. Make sure all devices are kept updated, and continually updating passwords. A new device that’s being introduced as a replacement for old devices makes it increasingly easy to forget about every connected device on your network. But old devices may carry old security protocols, forgotten passwords, and a whole host of other threats to your networks. Each device is a potential weak point that has to be secured. So, if there are old access points that you no longer use, you’ll want to thoroughly disconnect them from the network – even going as far as doing a factory reset on the gadget. Supply chains are a vital component of any B2B or B2C organisation. They are integral to the smooth running of a business, with valuable – and often sensitive – business information being shared with trusted suppliers. It’s important to remember that when this information is shared, direct control over your data is lost. This year, many organisations will realise that gaining traditional reassurance of their supply chain security is a lost cause. Businesses that continue to focus on assuring supply chain security with approaches such as self-certified audit and assurance, may preserve the illusion of security in the short term, but will inevitably discover that the security foundations they believed to be in place were lacking. Even the smallest supplier, or the slightest supply chain disruption, can have serious impacts on your business. 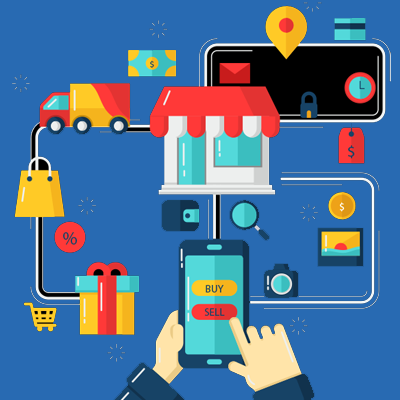 Brand management and brand reputation are subject to the successful security of your supply chain; both are constantly at stake. Refocus on managing key data and understanding where and how it has been shared across multiple channels and boundaries, irrespective of supply chain provider. The best method is to implement a supply chain information risk assurance process, which is focused on information shared with upstream suppliers. This can be done by using supply chain maps to follow the information. Such an upstream information-sharing assessment tracks what is being shared with the suppliers’ suppliers and beyond. The results draw attention to significant concentrations of information, triggering the implementation of additional controls on your suppliers and can mitigate risks. 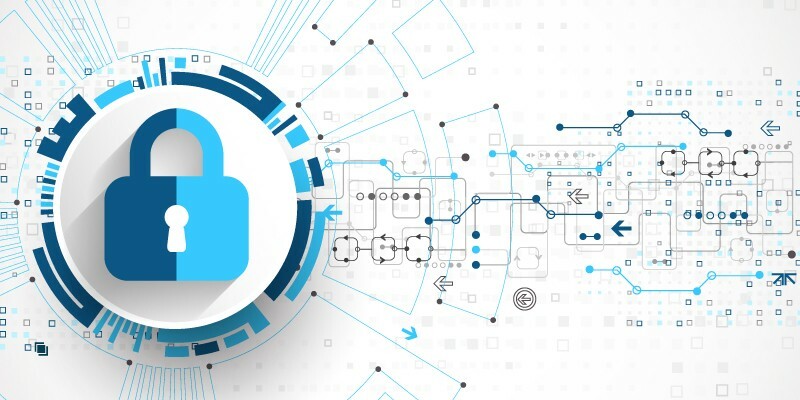 The unfortunate reality of today’s complex digital marketplace is that it is impossible to prevent every security compromise beforehand, and that no matter how much you prepare, there are still risks. However, being proactive now also means you, and your business will be better able to react rapidly and intelligently when something does happen. For more information, guidance, and support on making sure your infrastructure is as secure as possible, get in touch with one of our engineers.